When you visit Hudson, OH dentist Dr. Anthony Fratantonio your smile is our top priority. Our entire team is dedicated to providing you with the personalized, quality dental care that you deserve. 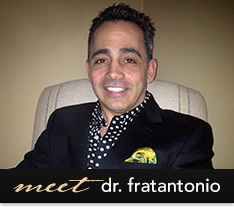 With Dr. Fratantonio you will experience all that modern dentistry has to offer, including a comprehensive list of general, restorative and cosmetic dental services to meet the needs of the whole family. Our goal is to assist each patient in achieving and maintaining long term dental health and a beautiful smile. NEW PATIENTS CLICK HERE to learn about appointments & payment options as well as find answers to frequently asked questions, download patient forms, & more. Call (330) 655-8919 & Request Appointment Today!